Health care is a tough business. It’s fast paced, demanding of time and energy and can be thankless. At times, those working in direct patient care, get immediate feedback and gratification from those they’re caring for but not always. For those in support services it can be easy to lose line of sight about how their daily contributions benefit the patient. There’s a reason we do what we do and there’s a reason most of us chose a career in health care and it’s because we want to be a part of something and we want to contribute to something. 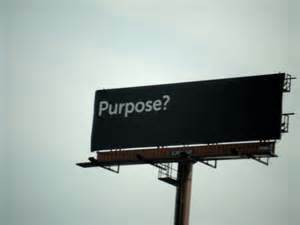 We have purpose. Our purpose is simple – make things better for someone else. Whether you provide care directly to a patient or your role is in support of those providing care your purpose is to make things better for the person you’re supporting. Every day focus on your purpose. Remember why you do what you do. We don’t get burned out because of what we do. We get burned out because we forget why we do it. Providing care is a privilege, heck, working is a privilege. If you don’t believe so, just ask someone who’s looking for a job. Most aspects of our life are a blessing. Sure we all have those “tasks” that we perform everyday that we just want to check off the list but even those tasks tend to make some aspect of our life better. My guess is, if you’ll take a moment to honestly reflect, you’ll notice that you get to do a lot more things than you have to do. The “Get to” part of life is what makes it great. Focus on “Get to” vs “Have to”.